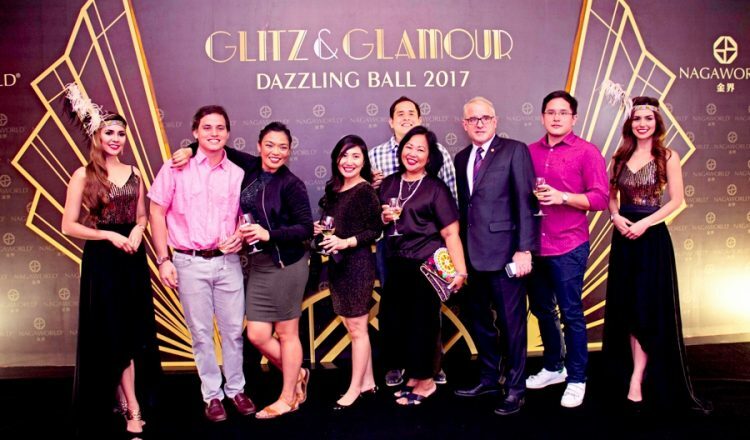 NagaWorld welcomed in the New Year with sensational celebrations at its annual Dazzling Ball Gala Dinner in the Grand Ballroom as local stars delivered knockout performances. 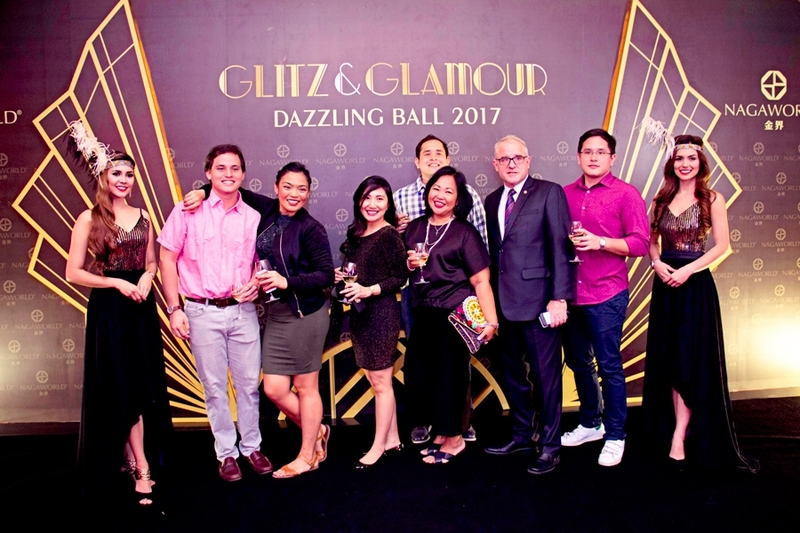 Simultaneous parties were held with a 1920s theme and live music, DJs and dance acts throughout the night and across the property. The Darlin Darlin Club Lounge’s star guest was DJ Peachy from Thailand, who played to a packed room. F-Club celebrated with a gold and black theme for its Great Gatsby night and DJs and dancers completed a sensational party. A-list stars took to the stage as the popular and talented Meas Soksophea, Heng Pitu, Him Sivorn and Rin Savet delivered modern Khmer songs as well as classics. This year NagaWorld invited guest emcee Vichhaileng to do the countdown live on the large outdoor screens facing the Hun Sen gardens so the public could also have a New Year to remember. Heineken’s “Touch The Music” event at the Marquee Club on Koh Pich was its main New Year’s party and partygoers had a great time. The large crowd there rang in the New Year with not only the great taste of Heineken b e e r , but an amazing spectacle that included robots, great music and dancing until sunrise. The event is now in its second year and brought Heineken’s new global music platform #LIVEYOURMUSIC to life in breathtaking style, featuring specially designed Sonic Droids that towered over partygoers from an impressive 2.5-meter height, roaming through the crowd to the pulse of EDM. Amazing DJs such as DJ Ara from the Philippines and some of the most renowned DJs in Cambodia like DJ Maily, DJ Snow Y and DJ Pink kept the party going. About 300 guests including Neak Oknha Ly Yong Phat, Lork Chumteav, Cham Prasidh and Lork Chumteav attended the festivities. Guests enjoyed traditional dancing with singers Chum Lino and Ratanak Pisey as well as a lucky draw. 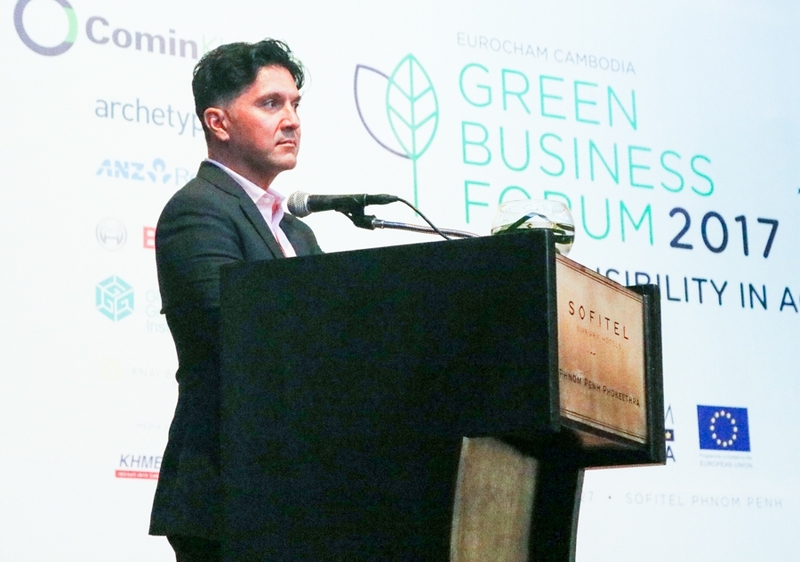 Anthony Watanabe, Managing Director at Asia Clean Innovations. Dato’ Sri Mustapa Mohamed signing the Official Guest Book of the Embassy of Malaysia. 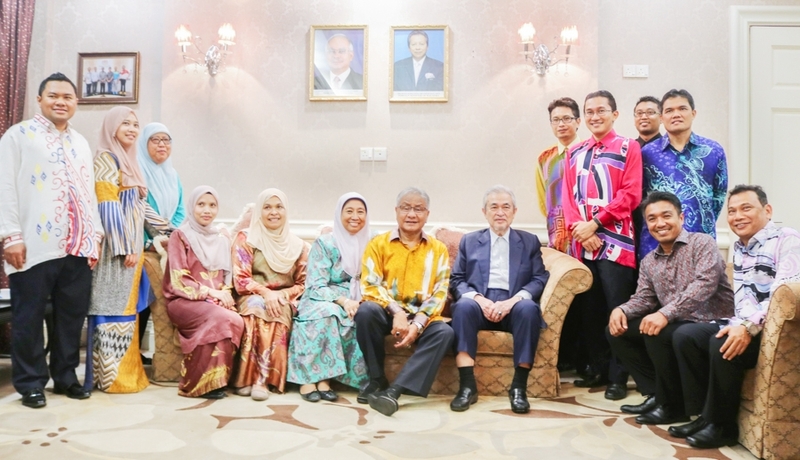 Datin Sri Norainess Mohd Yatib and Tun Haji Abdullah Ahmad Badawi in a group photo with the ambassador and embassy staff.